(HOST) Commentator Madeleine Kunin worked on several projects with Senator Ted Kennedy. She has this remembrance. (KUNIN) The irony of Senator Ted Kennedy’s career is that from the outside, he was the most liberal and partisan Democrat in the Senate. From the inside, he was the most bi-partisan and constructive member of the Senate. As all the recent testimonials have shown, he respected his colleagues and they respected him. At the 1980 Democratic Convention when he challenged President Jimmy Carter for the nomination, I was upset with him for dividing the party. The minute he got up to the podium all was forgiven, I was mesmerized by his words and his passion. It was the most powerful political speech I had ever heard, climaxed by the words, "the dream shall never die." Having lost his bid for the Presidency, he went to work to keep the dream alive – not by stunning rhetoric, but by hard work. When I was in Washington as Deputy Secretary of Education from 1993-96, I had a first hand opportunity to experience how he worked. Unlike most United States Senators who are experts at showcasing their self-importance, Kennedy carried his fame lightly. He wasn’t there to grandstand or issue partisan salvos; he was there to get things done. We worked on the Direct Student Loan Program land the Elementary and Secondary Education Act, always with Republican allies. One evening, Secretary of Education Richard Riley and I were invited to his house for dinner to follow up on a piece of legislation. He gave us a tour, taking obvious pleasure in explaining the mementoes, which lined the walls. Most were not of him, they were about John and Bobby. I wondered to myself, how does he manage to live with such a tragic past, and continue to live so firmly in the present? A lesser man would not have been able to absorb such losses and transform the sounds of mourning into a call for action. Another contradiction is Kennedy’s youth was obviously flawed in his early years, and in his later years, he became a model of a life well lived. When I heard him speak last August at the 2008 convention in Denver. he walked with a heavy step up to the podium, visibly gathering his waning strength. He glowed in the tumultuous applause of what all we knew, would be his farewell. My only wish, as we listen to the accolades bestowed on him, that the members of the United States Senate could give him the highest honor of all – by passing the health care reform bill that was his life’s work. That would have please him greatly. 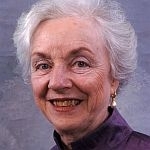 (TAG) You can find more commentaries by Madeleine Kunin on line at VPR-dot-net.